One of the best things about ordering flowers online from Bloom Magic is that each bouquet is handcrafted by an expert local florist. We work very hard to ensure those we showcase are the best of the best, and that they deliver breath-taking arrangements consistently. 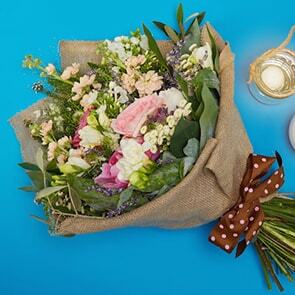 Because each local florist has a different style and personality, we’ve opted to devote some of our blogs to introducing you to the very people who will fulfil your requests when you order flowers online from Bloom Magic. Kat, from Adonis Flower Designers, was kind enough to chat with us about what makes their shop tops when it comes to flower delivery in Dublin. “I personally love all the spring flowers and anything with a nice scent,” Kat said. “Hyacinth, daffodils and sweet pea are up there with my favourites.” The staff is comprised of five individuals from various countries and each has a different background. This makes for a very eclectic mix and a constant flow of new ideas, according to Kat. She adds that the team is always coming up with new concepts, drawing inspiration from everywhere. “It could be a new colour trend in fashion or an ancient painting that sparks an idea,” but no matter what triggers the creativity within them, they always begin with the highest-quality stock available, and strive to keep unique and interesting flowers in stock at all times to delight customers. At the moment, Kat adores making big, wild, handtied bouquets, but her preferences change based on her mood, the season, and the stock available. 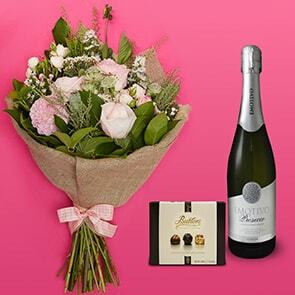 If you’re looking for flower delivery in Dublin, Adonis is sure to create a lovely and memorable bouquet, no matter what the occasion is. “For anyone that hadn’t come across us before, I hope they will discover our beautiful shop and love our work as much as we do!” the local florist said. 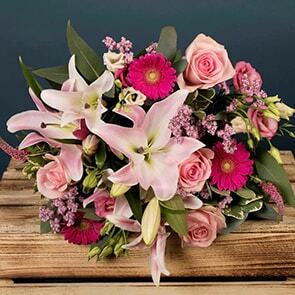 If you’d like to see the gorgeous and unique arrangements the team at Adonis can create for you, check out all the flowers online in their section of the Bloom Magic catalogue.